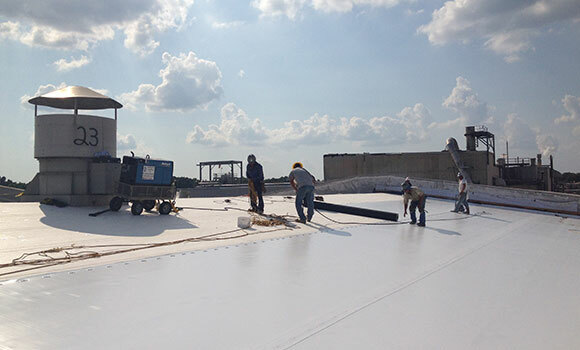 Industrial Roofing and Construction, located in Sterlington, Louisiana is a full service provider specializing in commercial and industrial roofing projects. 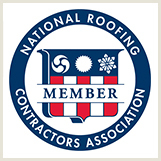 Whether flat roof assessments and repairs or an installation of virtually any type of industrial roof, IRC is noted for superior workmanship, exceptional customer service, experienced project management and responsive warranty/maintenance programs. These programs range from complete tear-offs, deck replacement, structural analysis, and structural replacement to simple roof coatings. 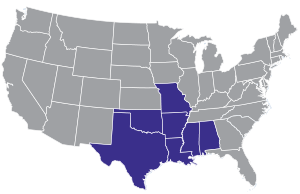 As a licensed contractor in seven (7) states (Alabama, Arkansas, Louisiana, Mississippi, Missouri, Oklahoma, and Texas), IRC management understands the financial complexities of facility management and therefore works closely with customers to properly evaluate roofing needs, to make recommendations based on the most favorable ROI models and to initiate and document long-term maintenance programs to maximize roofing asset management.